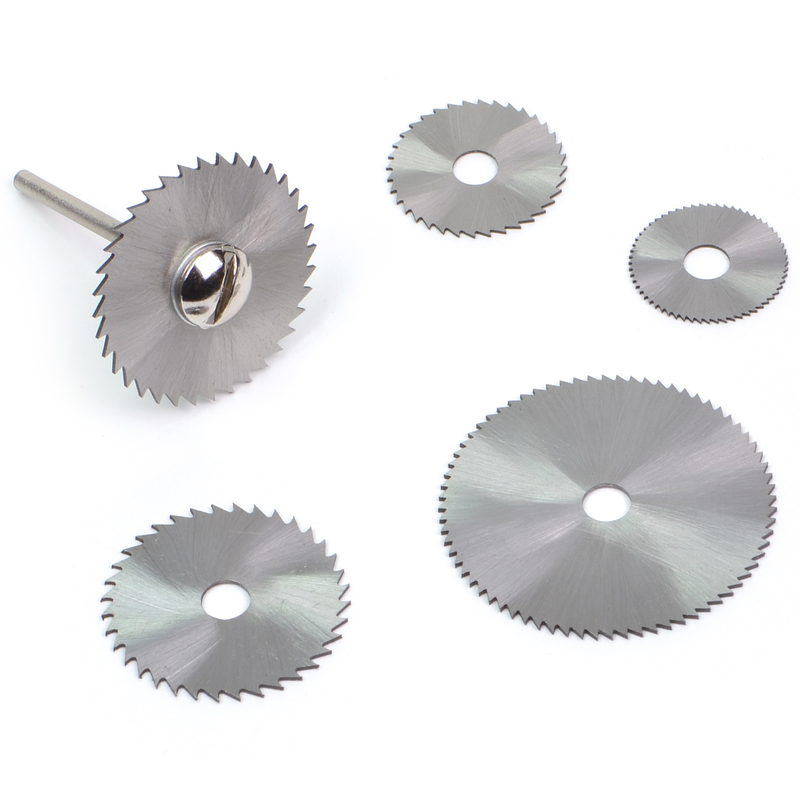 Use this 6-piece high speed steel saw blade set with your rotary tool to slice through soft woods with ease. Rated for use up to 20,000 rpm, these small-size blades provide big cutting power in places larger saws can't fit. 23 mm (approx. 7/8 inch) x 60 teeth, 25 mm (approx. 1 inch) x 36 teeth, 33 mm (approx. 1-1/4 inches) x 36 teeth, 35 mm (approx. 1-5/16 inches) x 36 teeth, and 44 mm (approx. 1-3/4 inches) x 72 teeth, plus one heavy duty mandrel with 3 mm shank; 2 inches long overall.